After the change in electoral laws, 15 political associations applied to compete in local council elections but nine were disqualified by the Registration of Political Associations and Approval of Political Parties Committee (RAC) for failing to meet necessary legal requirements. RAC’s disqualification of the nine associations was criticized by the groups as being non-transparent. In explaining their decision, RAC stated that each of the disqualified groups failed to open offices in all regions of Somaliland and failed to provide evidence that they had at least 1,000 members in each region. Of the six associations permitted to field candidates, one new association, NASIYE, withdrew prior to submitting a candidate list. UDUB, Somaliland’s former ruling party, also withdrew in protest, citing bias and lack of transparency on the part of Somaliland’s electoral bodies. As a result, local council elections will be contested by the existing UCID and KULMIYE parties and five new political associations: UMADDA, DALSAN, RAYS, WADANI and XAQSOOR. A former British protectorate, Somaliland is a break-away territory that declared independence from Somalia in 1991. It has functioning political and economic systems and has maintained relative stability and growth despite the clan segmentation of its population and the insecurity of neighboring Somalia proper. While Somaliland has thus far successfully maintained a political system that reflects a unique blend of modern democratic principles and the preservation of traditional values, the upcoming local elections have created tensions in the political environment. Some of the political associations disqualified from participating in elections by RAC rejected the ruling and filed suit against the committee, accusing the body of being politically biased and taking action in favor of the ruling KULMIYE party. The case was brought before the Somaliland Supreme Court and in early September the court ruled in favor of RAC, saying its rulings were just and impartial. The UDUB party has also been vocal in accusing electoral bodies of acting in a partisan manner and blocking its participation in the electoral process. These allegations came as a result of RAC rejecting the nomination of Ali Mohamed Waran’ade and Ahmed Haji Dahir to UDUB party leadership, stating that the nominations of both leaders did not originate within the party’s general assembly and therefore contradicted the party’s internal rules. UDUB also cited partisanship as the reason the National Electoral Commission (NEC) denied UDUB’s request to extend the deadline for the submittal of party candidate lists. Finally, concerns have been expressed about potential media bias and traditional elders from Toghdeer region have insisted that the distribution of polling stations unfairly discriminates against their communities, allowing them less of an opportunity to vote than other regions. The seven parties and associations competing in local council elections have prepared to take part in the polling process and are now campaigning throughout Somaliland. Under the system established by the NEC, campaigning takes place for four weeks, from October 29 until November 25, with each party designated one day a week on which to campaign and hold political rallies. Even though the law stipulates that voting is direct and secret and that all votes shall be given equal weighting, Somaliland’s local council elections face certain challenges. The elections will be conducted without a voter’s roll. Somaliland’s only existing voters roll was created in 2008 and is considered problematic and out of date. As a result, it was decided that the 2012 local elections would proceed without the use of a voter’s roll, a decision which increases the possibility of under-age, non-resident and double voting, particularly in a country in which the majority of voters have no form of legal identification. Another challenge facing local elections is the institution of an open-list system in which voters vote for an individual candidate rather than for a party, as was previously the case. This has resulted in long ballot papers in which scores of candidates are listed by name and number. Traditionally, candidates have also been identified by a symbol, an important consideration given the largely illiterate population. Long ballot papers that do not include symbols increase the risk of voter confusion, long lines at polling stations and poll worker fatigue. Further, given that these elections will select national parties, NEC has determined that even in cases where a vote for a candidate is void, a ballot can be counted in favor of a particular party if the voter’s intent to vote for a certain party is clear, such as in cases where an individual votes for two or more candidates from the same party/association. This opens the door to different interpretations as to which ballots are valid. Finally, after votes are counted and tabulated by NEC, RAC will be under close scrutiny as it determines which of the seven competing political organizations will qualify as Somaliland’s next three political parties. 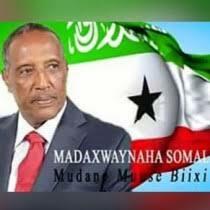 The Political Party Law stipulates that the three most popular parties that garner a minimum of 20 percent of the vote in each of the six regions will become Somaliland’s next national parties. As this requirement is unlikely to be met by three groups, RAC and the competing political organizations have agreed to a ranking system in which the proportion of votes parties receive in each of the regions will be used to determine which organization becomes one of Somaliland’s three official parties. This may result, however, in a party or association becoming a national party even though it has fewer net votes than one or more of its competitors. Given the complexity of the ranking system, it is of utmost importance that RAC communicates the national party results swiftly, transparently and with stakeholder support so that results are understood and accepted by Somalilanders. Although there are challenges, these elections do present important opportunities for the maturation of Somaliland’s democracy. Somalilanders have been enthusiastic about opening the election to political associations, a fact which suggests citizens are ready for choices beyond the three traditional parties. At the local level, this is the first opportunity for Somalilanders to directly elect their local councilors, a positive development that coincides with the Somaliland government’s initiative to decentralize its government. Additionally, these elections will feature greater youth participation numbers than past elections. With the reduction of the age of candidacy for local councilors from 35 to 25, hundreds of young people are competing for political office in a country in which the youth majority is frequently marginalized. The International Republican Institute (IRI) has been working in Somaliland since 2002. Its programming focuses on building the capacity of civil society organizations and providing support to parliamentarians to enact legislation that meets constituent needs. As part of its pre-election program, IRI conducted campaign schools for youth and women candidates to strengthen their voter outreach and general campaign skills. Additionally, the Institute partnered with local groups to train more than 9,000 party agents on how to effectively monitor the upcoming local elections. Finally, IRI trained political parties and political associations in Somaliland on grassroots campaigning, the establishment of issue-based platforms and the basics of internal party organization. IRI continues to remain engaged in Somaliland’s political process as a part of the organization’s long-standing commitment to advancing freedom, self-government and the rule of law in Africa and around the world. IRI currently has programs in the African countries of Democratic Republic of Congo, Kenya, Nigeria, Somaliland, South Africa, South Sudan, Sudan and Zimbabwe.